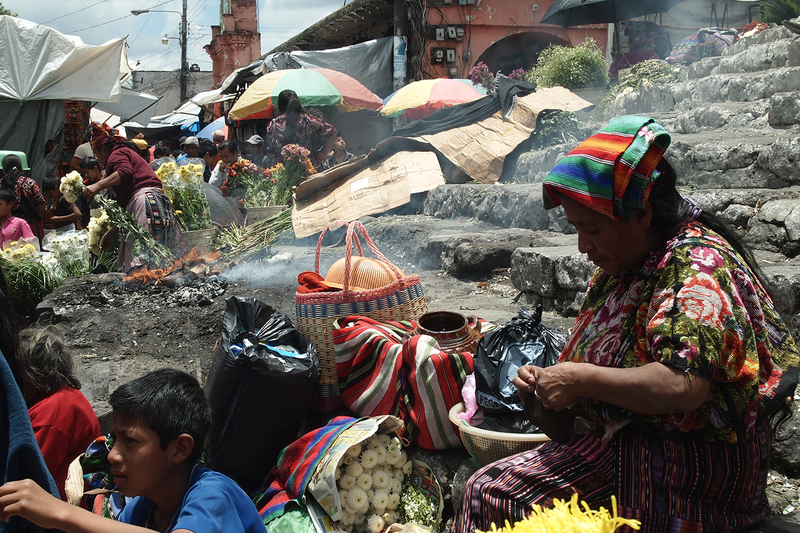 If you love a good challenge, you’re bound to be captivated by the mysterious and colourful Guatemala. 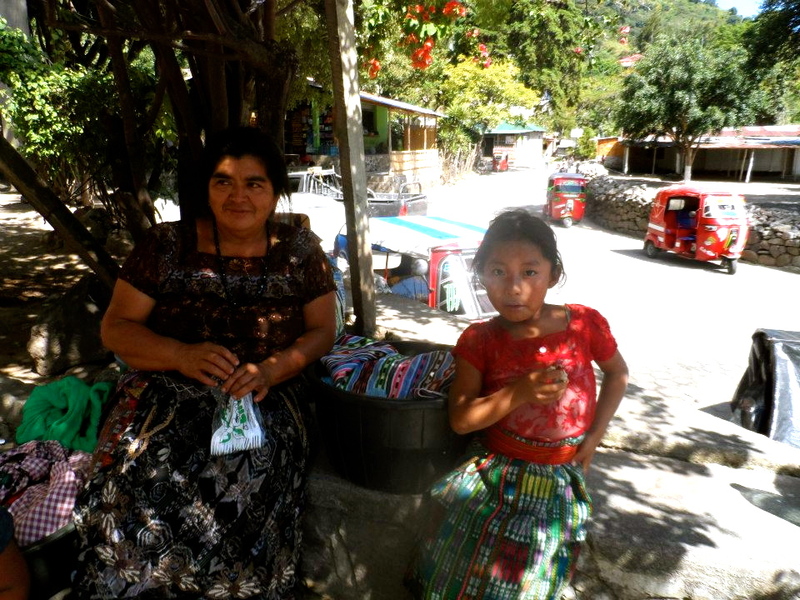 Earlier this year part of our Workaway team went visit some hosts in Central America. The unexpectedly stunning beauty of Guatemala and its people had left us with some of the most vivid travel memories ever. Now we are so excited to be sharing this guest post written by an adventurous Workawayer Andriah for her sister Mariah‘s travel blog — The Barefoot Beat. It’s about time you come join us into the world of overwhelming and magical madness that is the infamous chicken bus! The list of advice goes on and on of things you should or shouldn’t do while you’re traveling abroad, the list of things you should be afraid of. 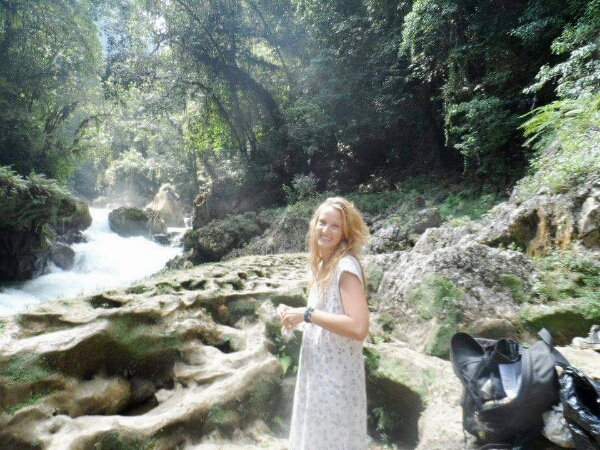 In my opinion, traveling abroad or even within your own country is an amazing way to experience, grow, and learn. However, every time I’ve gone abroad I’ve faced the above list of anxieties and worries from friends and family, most of whom have never personally been to the countries I visit. There seems to be a general fear of places outside of the U.S., especially if you are going as a woman on your own. 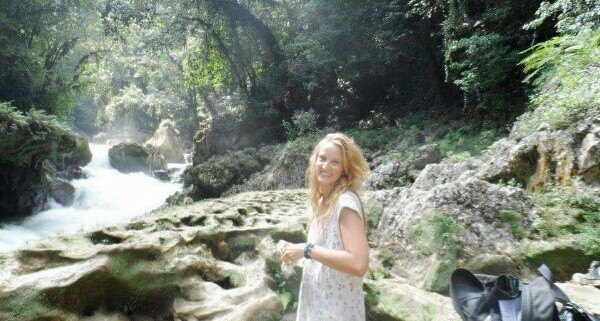 Two years ago I spent three months traveling Central America alone and had the time of my life. Since that time, I’ve dreamed of going back. Periodically, I would look up plane tickets, even though I knew there was a slim chance I’d make it back any time soon because I needed to finish school. This year, I decided that as a graduation gift to myself I would take a two week long Spring break and go back. I had some friends staying in Guatemala so I decided to visit them for a few days, as well as spend some time on my own. On my previous trip, I had an extremely tight budget. To make my money stretch, I took the cheapest transportation and worked on farms as a volunteer. Since I stayed in rural areas, I frequently took the infamous “chicken buses” as my main mode of transportation. 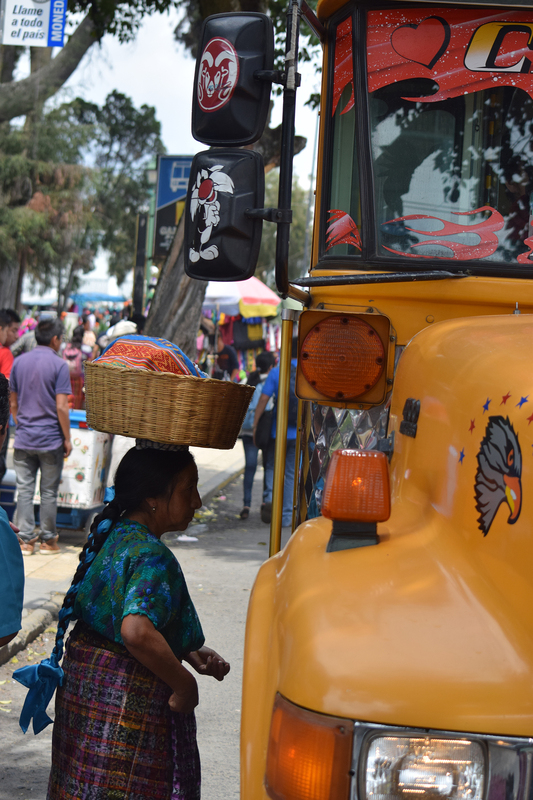 I traveled from Costa Rica to Guatemala and back on these jam packed, bedecked buses that required a few dollars and a strong stomach as they careened through mountainous “highways”. I loved being surrounded by locals on their way to work or to the market and found that using these buses was a great way to people watch and get a good idea of the culture of the people in each country. Several times I even had locals share their snacks with me during the bus rides, and I was frequently assisted in getting to my next destination. After using these busses almost daily for three months I had maybe two or three negative experiences, mostly having to do with being overcharged for my fare. Though these buses stop to pick people up just about every thirty seconds and take forever to get anywhere, I was looking forward to re-experiencing them on my second trip. A couple of days before my departure I contacted my friends who were already in Guatemala to solidify plans. I could tell from the tone used in our messages back and forth that something was a little off. I had planned on using public transportation again since that was what I was most familiar with, but was warned against. My friend stated simply that it “wasn’t recommended”. Doubt started to creep in as I read some of the warnings in my guide book and heard the repeated list of concerns from friends and family. Had that much changed in two years? 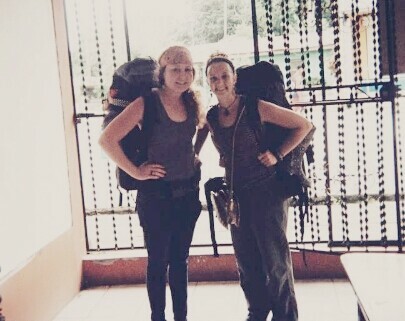 From what the locals I spoke with were saying, and even some of the guide books, I began to worry and feel afraid. Should I even be taking this trip on my own? What if I got robbed? What if something worse happened? Once in Guatemala City, I decided to take a taxi from the airport to my friend’s apartment and get my bearings for a couple of days before deciding how to continue my trip. In the taxi ride, I found that the taxi man was actually just doing his job and trying to get me to my destination instead of being ‘out to get me’. This boosted my confidence marginally. I spoke with some of the locals my friends were staying with, trying to get more information about the public transportation in the area. They were vague and mostly told me that they “wouldn’t recommend it”. I honestly believe that some of them had never even taken the public transportation themselves. I decided to use caution but to also use the chicken buses to get to my next destination, despite warnings against it. I crossed my fingers that I wouldn’t get mugged. My first seat companion was a woman happily snoozing on her way to work. The second, was a man who laughed with me about the crazy, careening ride we were taking through the mountains. People were helpful and kind, making sure I got to the right bus and to where I needed to be. The driver even made sure to give me my water bottle from my pack before throwing it up top for the 3 hour trip. The bus was, as I remembered, not full of robbers and criminals but babies, mothers, old men and women, loud music, and dozens of smiling faces with gold teeth. There is a special camaraderie in sharing a chicken bus ride with the locals and that is something that I wouldn’t trade for all of the spacious, air conditioned shuttle buses in the world. It takes a special kind of patience to ride a chicken bus, but it is definitely worth the experience. This is not to say that you shouldn’t use caution and that there aren’t some areas where you should take a taxi or shuttle over a chicken bus (such as to and from the airport), but fear should not be at the base of your decision making. I have fallen in love with the locals over and over again through allowing myself to participate in their everyday activities, and it makes me sad that there is such fear associated with people that live in different countries. They are just like us, with good and bad intermixed. We are all human. Somos humanos. Be smart, but still go out and experience. Allow yourself to be a part of another culture. You might be surprised at what you learn. You might be surprised at how similar we all really are. Don’t walk around flashing your expensive cameras, jewelry, clothes, etc. DO have fun and enjoy! Always good to have a fellow travel buddy! Many thanks again for letting us repost this blog on Andriah’s crazy fun chicken bus ride! 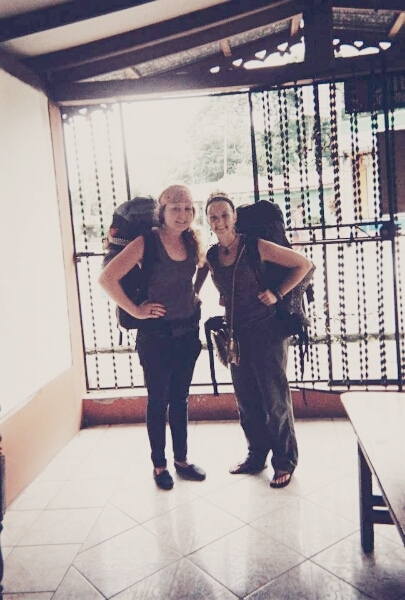 To read more about their Workaway and travel adventure, check out Mariah’s blog. Are you also an inspired Workawayer or host who would love to share your stories? We’d be happy to have your contribution for our blog! You can email us your story at alicia@workaway.info, or use the Contact Workaway page. I loved the chicken bus, it taught me about personal space and sometimes just letter go of your inhibitions and enjoying the ride. Read about my experience being on a chicken bus. Best and Craziest experience you’ll get. Best bus ever, cheap and funny! Thank guys for the article, as I’m going there in July and I hear so many things .. Sometimes squeezed in 90 to a bus. 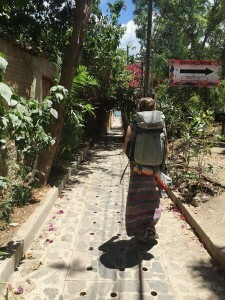 Was my regular mode of transportation while living in Guatemala and El Salvador. Longest I ever did was about 4 hours. The workawayer who fell in love with the world This host’s whale watching camp is a dream come true for workawayers!